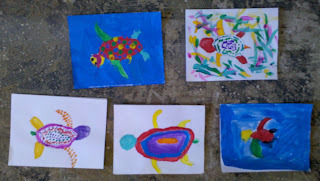 My summer students made these sea turtles recently. I gave the kids rock that I'd already painted with white acrylic paint. Then they drew their turtles on the rocks with a pencil. 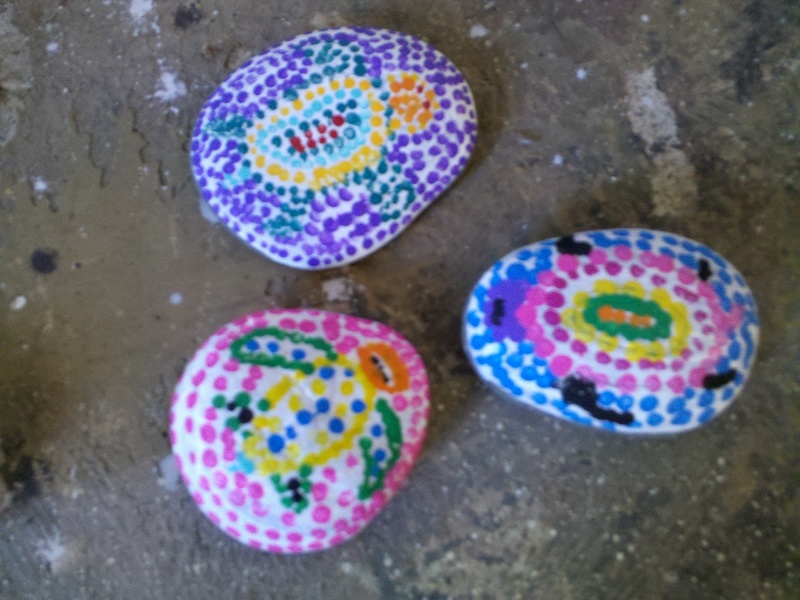 Then dotted around the turtle with acrylic paint, using a Q-tip to create aboriginal style paintings on rocks. 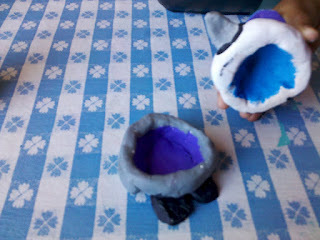 We just made 2 pinch pots, then added wings and feet to one of them, and beak and eyes to the other. 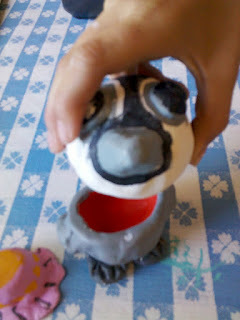 We used Crayola air dry clay, and acrylic paints. 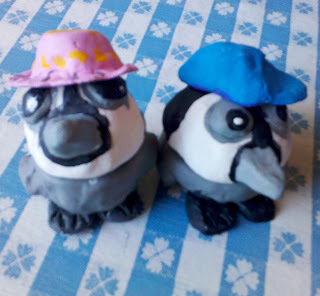 These cuties were made by 4th & 5th graders. The one on the left was named "Lulu" & one on the right was named "Bob." Great job, Ellie & Lauren!!! !